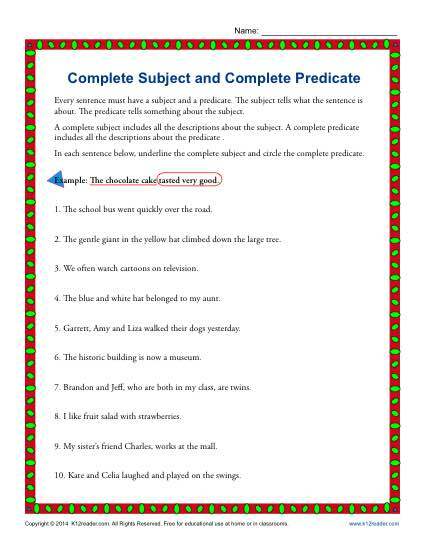 This worksheet focuses on complete subjects and complete predicates. Your youngster will underline the former and circle the latter in a series of sentences. While it’s a great practice for Common Core Standards for 3rd grade Language, it may also be helpful for other students. Need Help? What is a Complete Predicate?